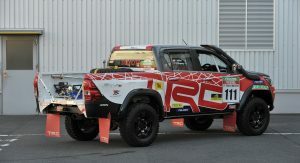 Toyota’s special edition TRD cars are generally-speaking, more capable race or off-road versions of some of their most popular models. 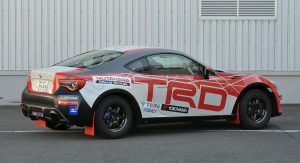 TRD stands for Toyota Racing Development, so whether you’re looking at a TRD-tuned Hilux or a C-HR, you can be sure that they’ve been modified in order to have a sportier road presence. 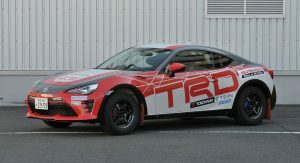 This year, six different TRD-tuned models will make their way to this year’s Tokyo Auto Salon that runs from Friday, January 13 to Sunday, January 15, highlighted by the C-HR “Aggressive” and “Extreme” duo, both of them featuring sporty body kits, custom wheels and plenty of other add-ons that might make you take notice. 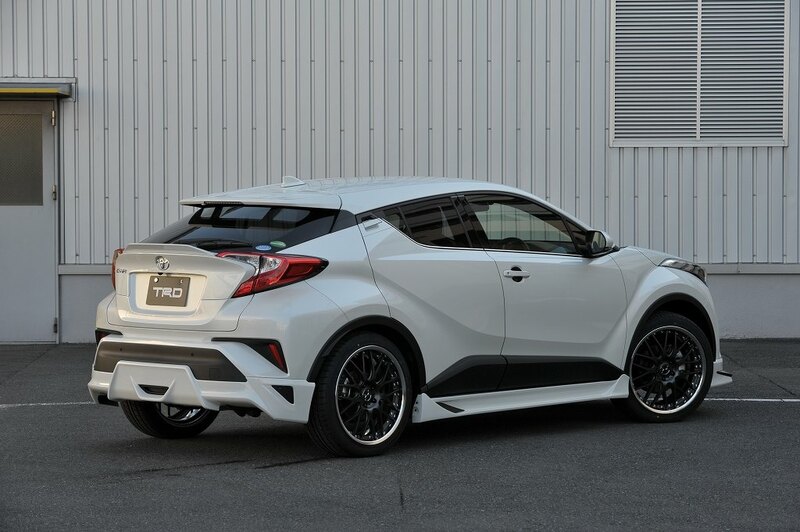 The “aggressive” version of the C-HR comes with a custom front bumper, LED daytime running lights, custom rear diffuser, extended side skirts for a track-focused look, and a lip spoiler on the tailgate. 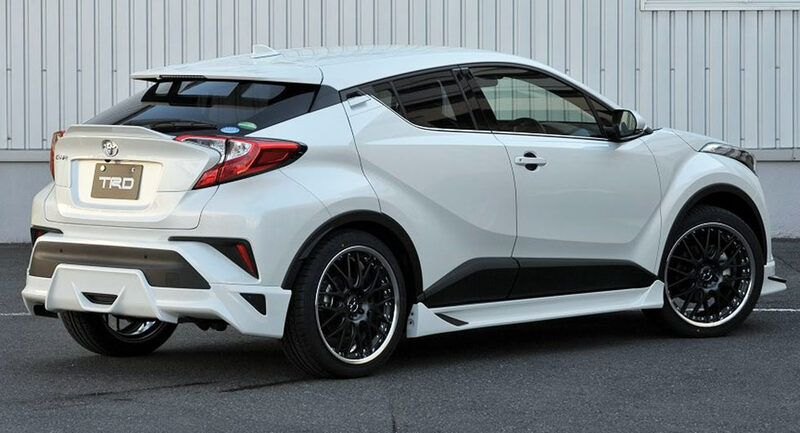 The more “extreme” version of the C-HR looks menacing in its own way, boasting black wheel arches, red mud flaps, an imposing front spoiler and a set of 16″ alloys as standard. 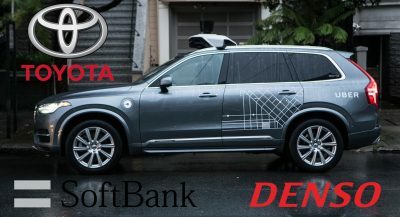 Other features include sports seat covers, a motion control beam for the suspension system, tire pressure monitoring, start/stop system and door handle protectors. 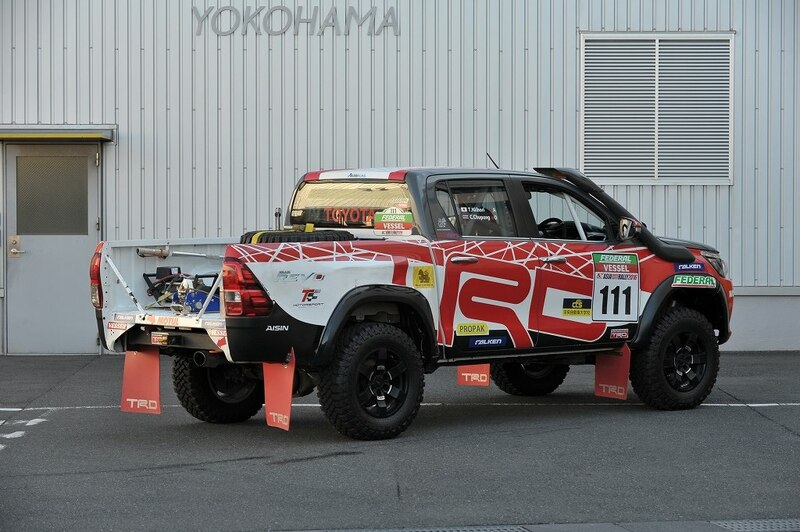 This particular build was meant to further evolve the 14R-60 model which had a limited run of 100 units as a Toyota Techno Craft 60th anniversary model last year. 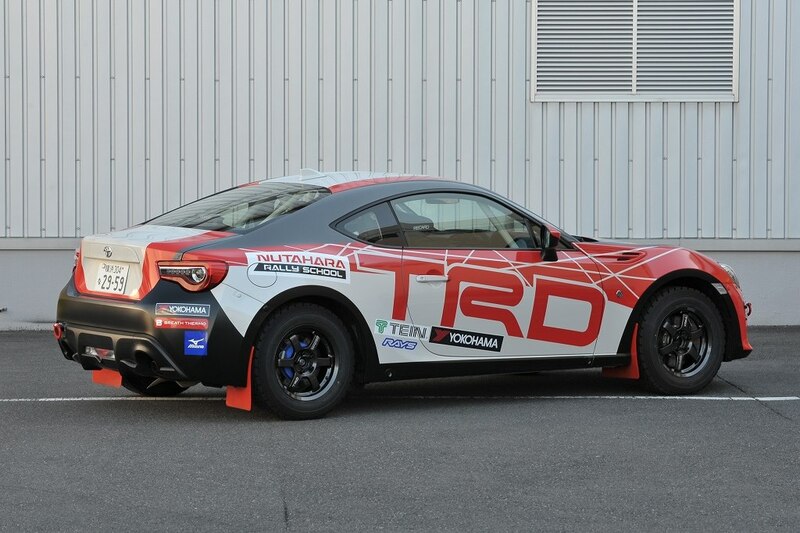 It comes with an extended spoiler lip, while reproducing the shape of the 86 TRD Griffon Concept’s front bumper. 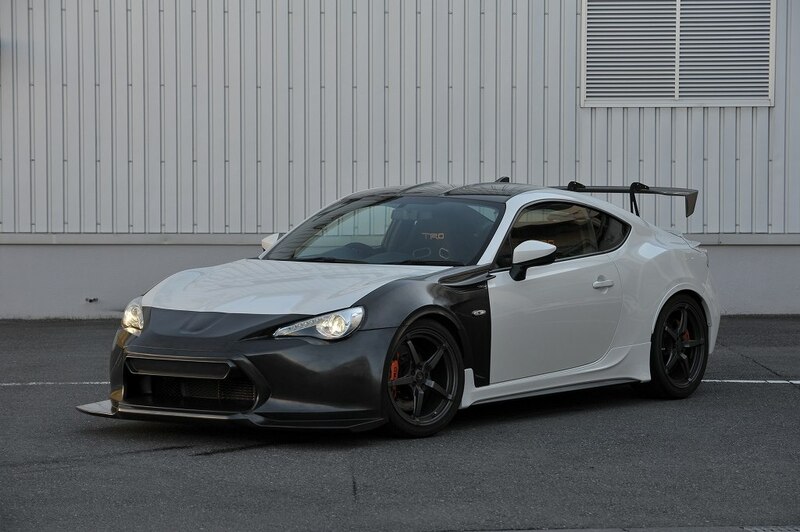 Weight saving methods were also employed by building the front bumper and fenders out of carbon fiber. 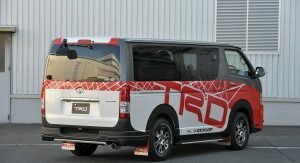 The Hiace TRD Concept is simply meant to sit closer to the road and look completely unlike a regular minivan of any sorts. 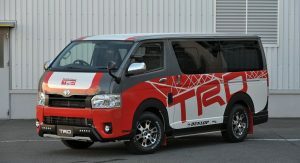 Some of the concept van’s parts, such as the front spoiler and mudflaps are said to be under consideration for sale in Japan. 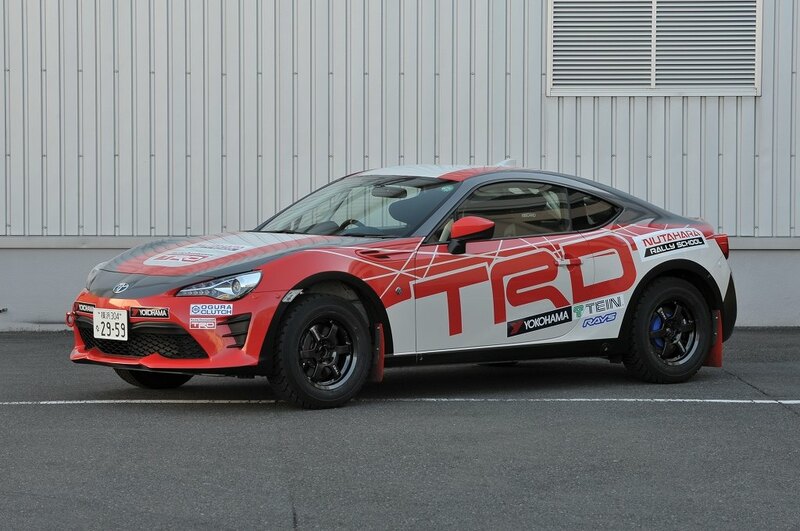 This 86 is a rally concept vehicle, built in collaboration with Fumio Tahara, a multiple winner of the Japan Rally Championship. 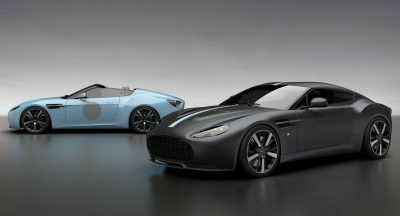 While it’s not too much unlike the Griffon Concept from 2013, it is built for a more practical approach to racing. 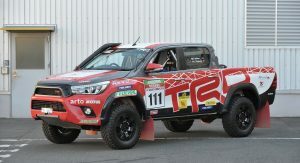 Built with the Asian cross country rally in mind, this extreme version of the Hilux Revo TRD was meant to blast its way through rough terrain, such as dirt roads, muddy roads and even water. Haha! 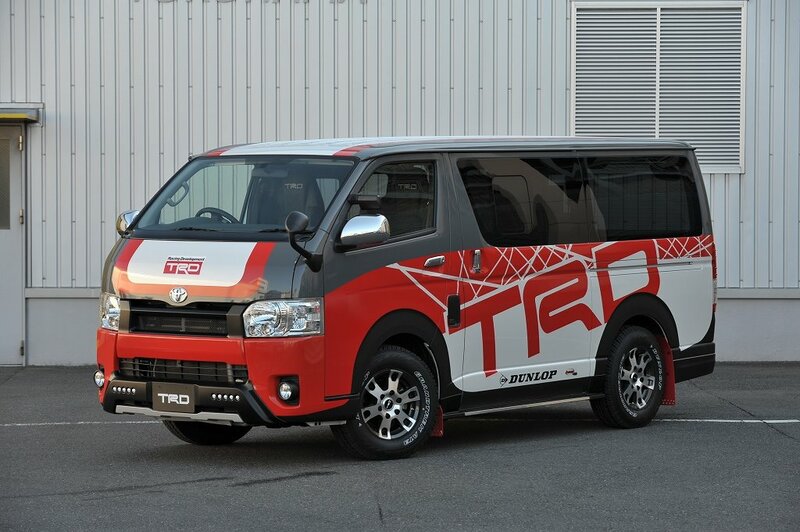 That Hiace is [email protected] ace! I so want one now. Need to import one. Check this guy’s Youtube channel. Derek’s company imports used cars from Japan to the USA, Canada, Europe, and even Australia/New Zealand. 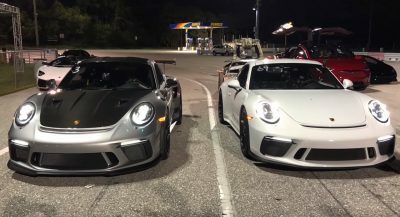 I believe we can import cars twenty years old. Canada can import cars ten years old. 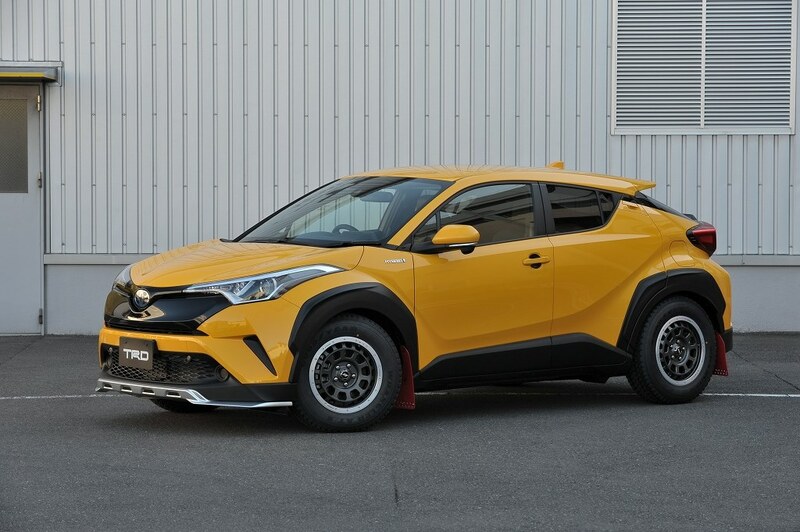 The HiAce and HiLux look like TRD did more than cosmetic stuff… and the yellow C-HR hybrid looks pretty cool. 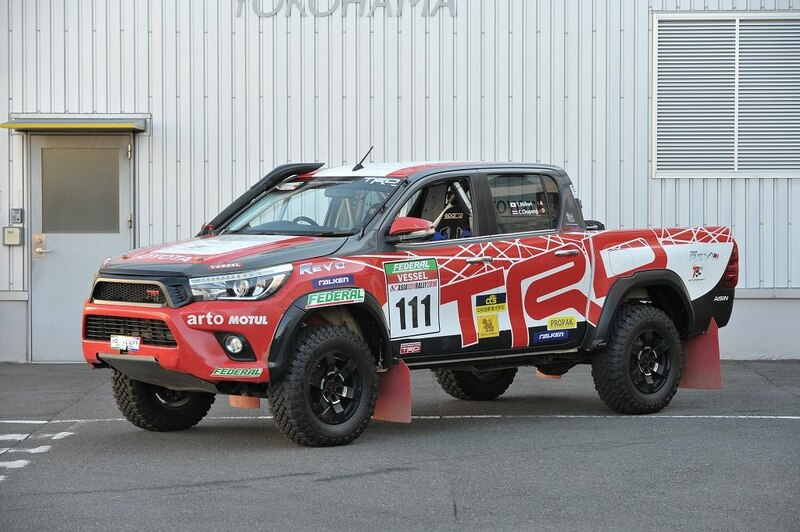 I wish Toyota offered it with AWD and a manual. I do want a HiAce van. 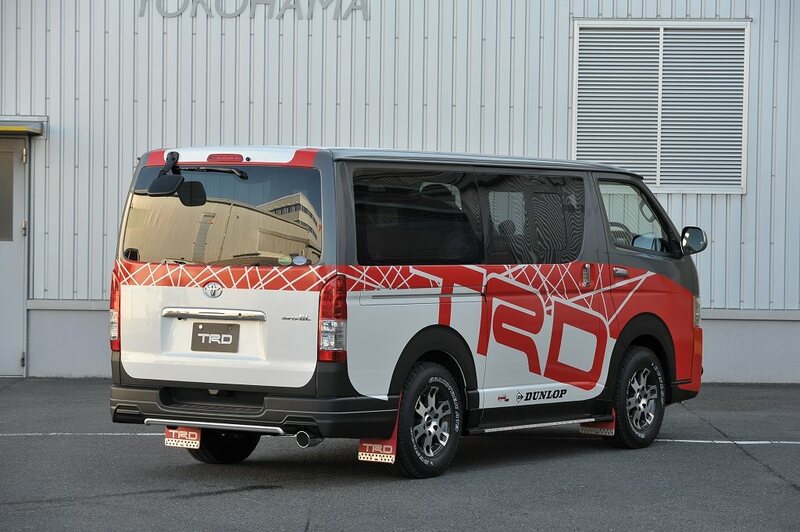 For the TRD HiAce they can just consult with the South African Taxi industry, our taxis are the fastest vehicles in traffic leaving V8/ V10/ V12’s behind! 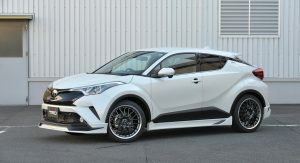 Personally I like that C-HR ‘AGGRESSIVE STYLE’, it’s probably the only way the C-HR appeals to me. What mods do they do? Or do they just don’t give a damn. 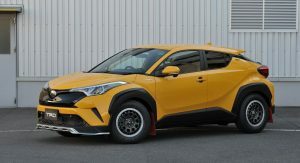 The Extreme Style yellow hybrid looks pretty cool. 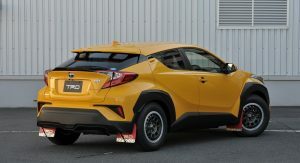 The CH-R Aggressive looks one car landed on top of another and squished it. Most unrefined, tacked-on, throw-everything-we-have-at-it, crap “styling” I’ve ever seen. U just nailed it. Who’s behind the design dept. at Toyota should be fired. 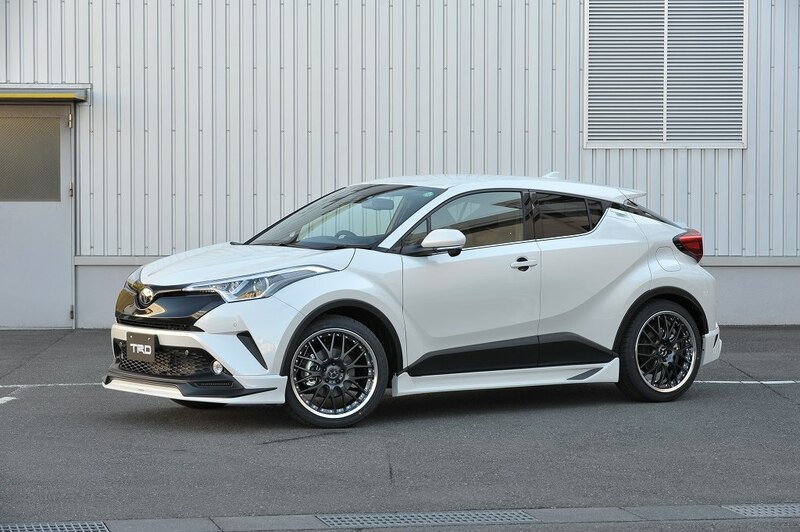 IMO the package for the C-HR from Modellista is a much better approach than that of TRD, as for the other models…well that’s a chapter on it’s own. i just like the 86. 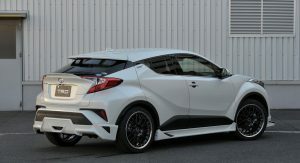 C-HR ‘AGGRESSIVE STYLE’ or as I like to call it “Origami Wagon Truckster”. Rusty Griswold is gonna love that thing! looks like crap. the yellow from the side looks like a new Pontiac aztec might have looked. terrible tack on design work. 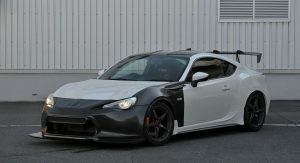 the 86 carbon concept is very cool idea, the design lines work well. 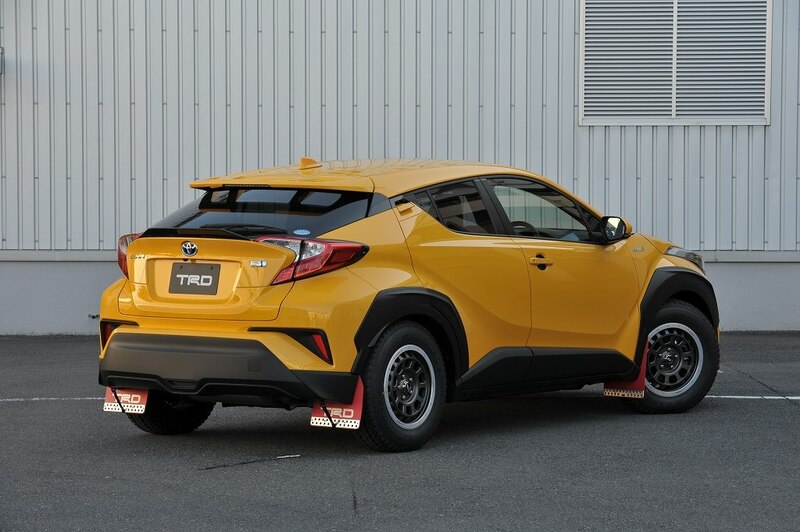 The yellow hybrid looks pretty cool… Too bad it’s not AWD. 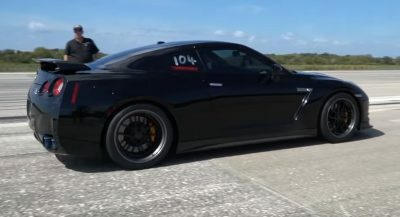 Previous PostPrevious Would The Kia Stinger Work As A Coupe Too?